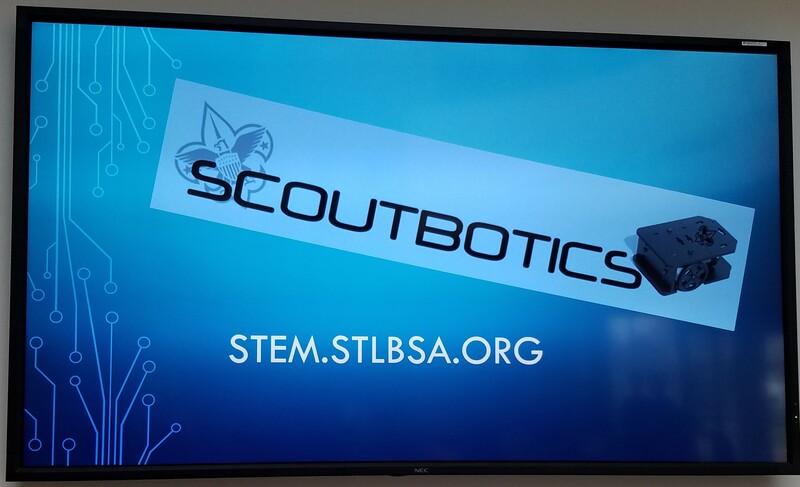 On Saturday, March 25th, 2017 Zagros Robotics teamed up with The Greater St. Louis Area Council of the Boy Scouts of America for our third Scoutbotics Event. Zagros Robotics created a custom robot starter kit for the participants. This event was again held at St. Louis University. 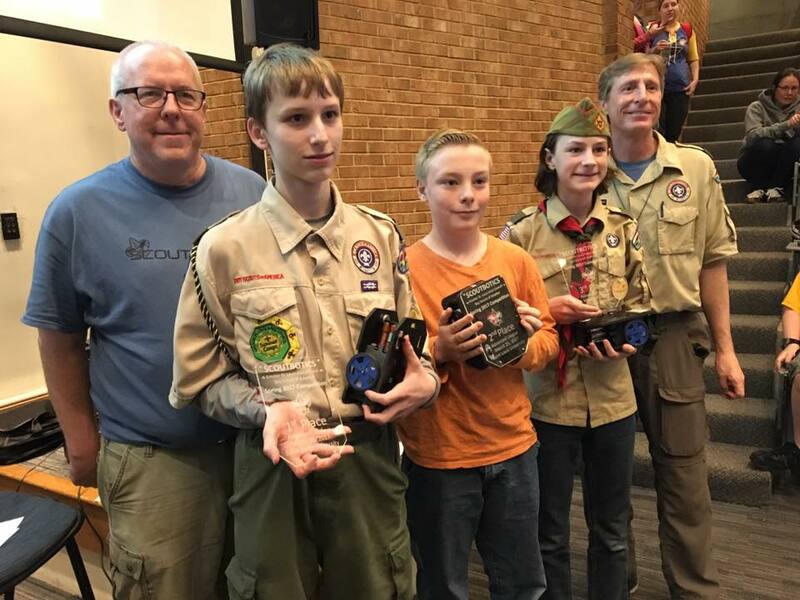 43 Scouts earned their Robotics Merit Badge while 9 returning Scouts perfected their programming skills to earn the Programming Merit Badge. 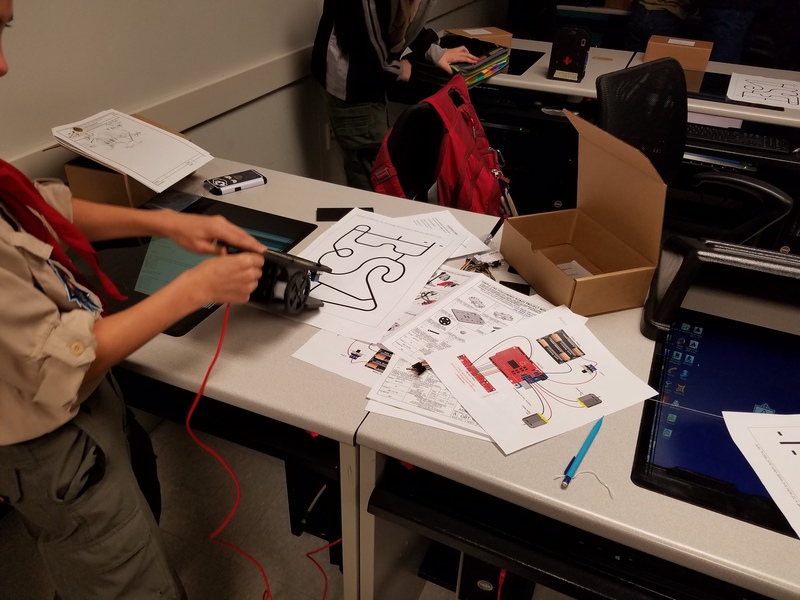 For the first-timers, the day began learning about Robotics as a career and then they quickly dove into building and wiring the robots. 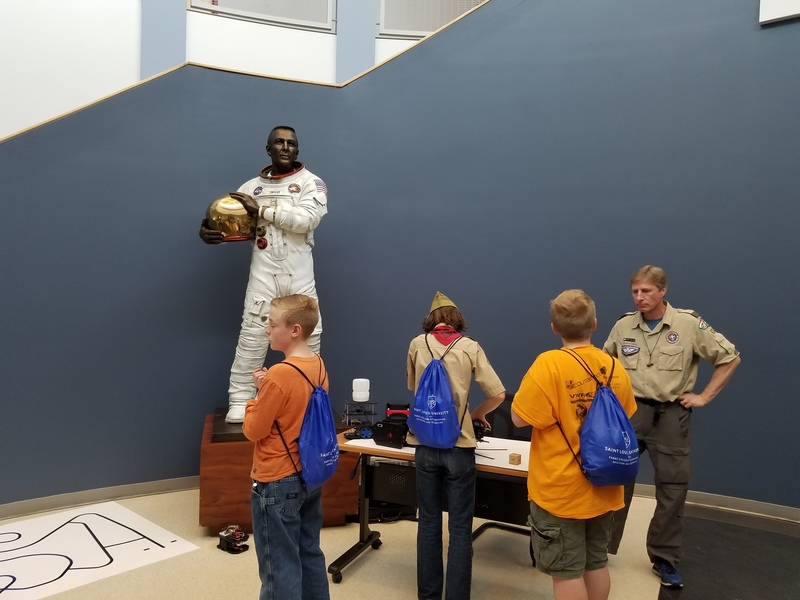 For returning Scouts, the discussion immediately centered on writing code and determining robot capability to address different challenges. 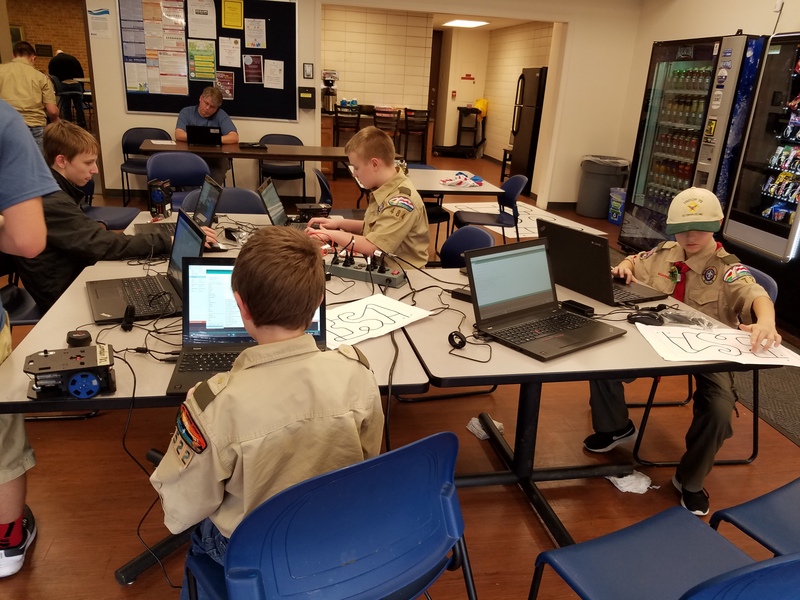 This time the Scouts had access to a new Gobbit Line Command library in the Arduino IDE created by Primal Engineering. The Gobbit Command Line library greatly simplifies the C/C++ syntax that the Scouts need to understand for the line follower program. 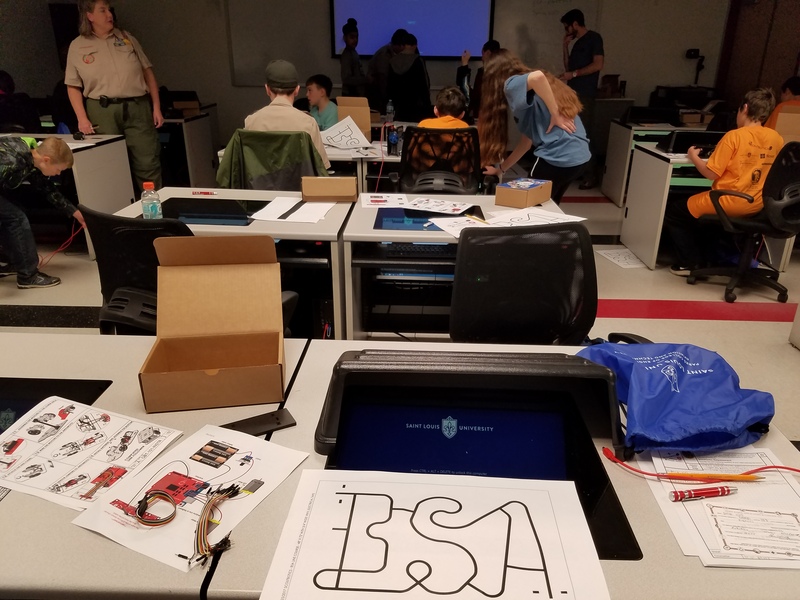 Both groups perfected their programs by testing and tweaking in preparation for the timed competition! Each Scout had the opportunity to tweak their program during competition as well. Multiple rounds offered the chance to improve performance as the competition progressed. 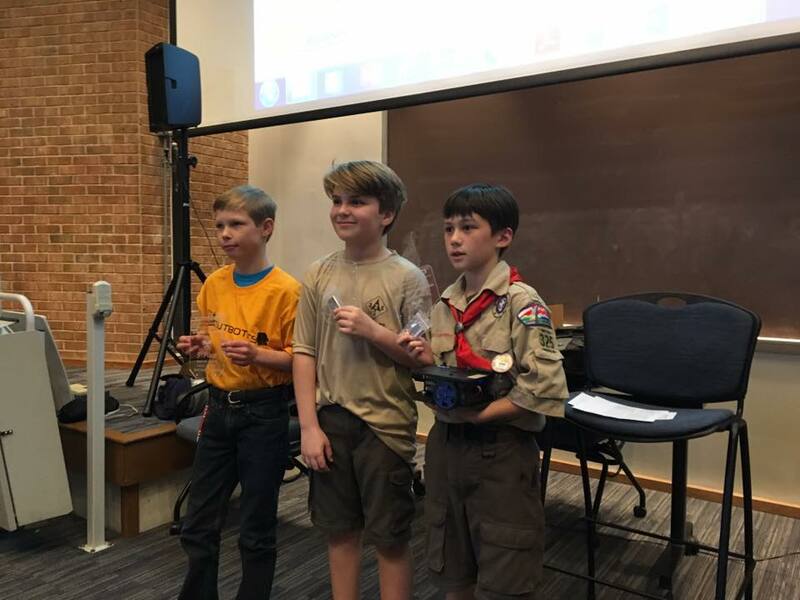 The competitors at each level with the fastest robots were declared the winners of Scoutbotics 3 and received overlays for their robots displaying their achievements. You can check out the example code the Scouts started with here as well as instructions and comments in the example to further your understanding of how the Scouts approached this programming problem. To see the complete Line Following Program Installation go here. Zagros Robotics offers the Zagros Robot Starter Kit – Gobbit Version 2 for sale. For more information about the kit click here.